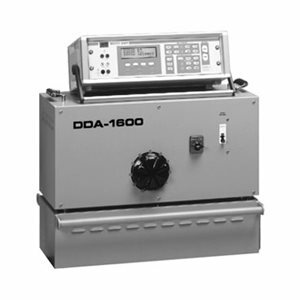 Model DDA-1600 is ideal for testing low-voltage breakers rated to 1600-ampere frame size. Incorporating the new Model DDA-1 Digital Data Acquisition Instrumentation and Control System, it provides increased control of output current and high accuracy metering of the breaker under test. A full line of other DDA test sets is available to meet all of your high-current, primary injection testing needs through 6000-ampere frame size.